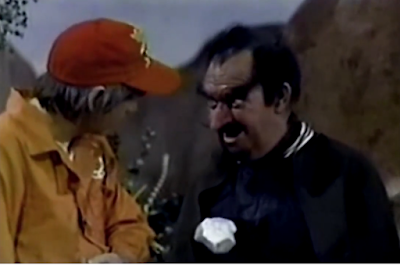 In “Secrets of the Hexagon,” the space nuts’ lander is broken once more, and Junior (Bob Denver) feels useless because he can’t do anything to help. The lander is out of fuel. 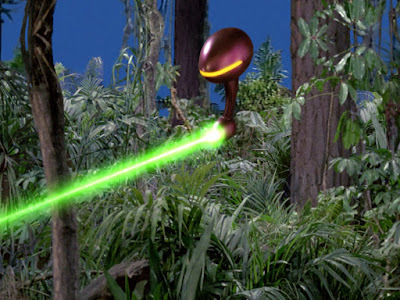 A strange alien named Flam, however, soon appears near Junior, and makes a trade: a useless hexagon device for the lander. Junior accidentally agrees, and must explain to Barney (Chuck McCann) how he has traded away their only ticket back home, to Earth. Soon, however, the space nuts learn how to operate the Hexagon. 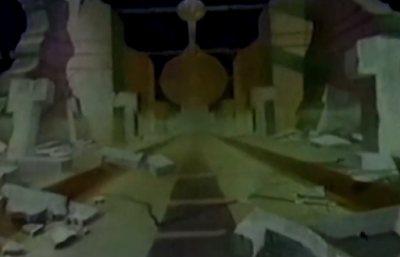 It is actually a talking key that leads them to a mysterious lost city, and the strange duplication device housed there. If Barney and Junior can just reclaim their lander, they can duplicate all the fuel they need to return home. Unfortunately, Flam stole the hexagon device from two hostile aliens, who wish to reacquire it. 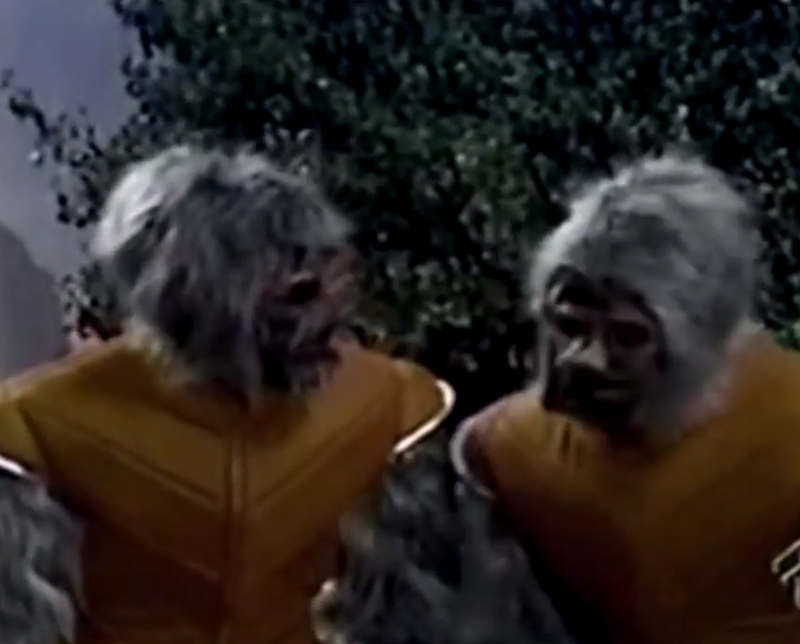 Another week, another ridiculous episode of Sid and Marty Krofft’s 1975 live-action romp, Far Out Space Nuts. 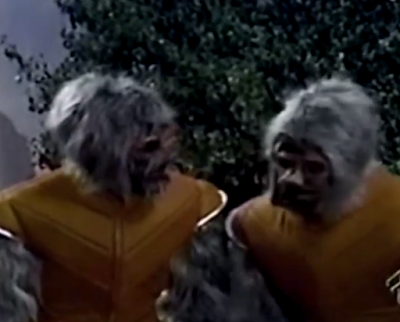 “Secrets of the Hexagon” features alien beings who look like humanoid moles, a lost city, and a blooper that reveals just how low-budget the production must have been. In that blooper, we see Barney and Junior driving their rover vehicle in a circle over the landscape. The camera moves just a little to one side, and the capsule, or lunar lander, is visible behind them. At this point in the story, however, Flam has taken the lander -- it has de-materialized -- and they are going off to the lost city in an effort to recover it. The lunar lander mock-up is moved from its normal position…by about three feet, and just by moving the camera a tiny bit, it is still visible. The sound-stage where the episode was shot must have been tiny! The alien villain of the week is named “Flam” (as in the word “flim flam,), but forget that term, which means confidence game, or swindle. These old episodes aren’t “flim flam,” but they sure seem to have been made on a wing and a prayer.